I can just imagine living in a whimsical space where we would seem to find the kind of space that we thought are only in our dreams. 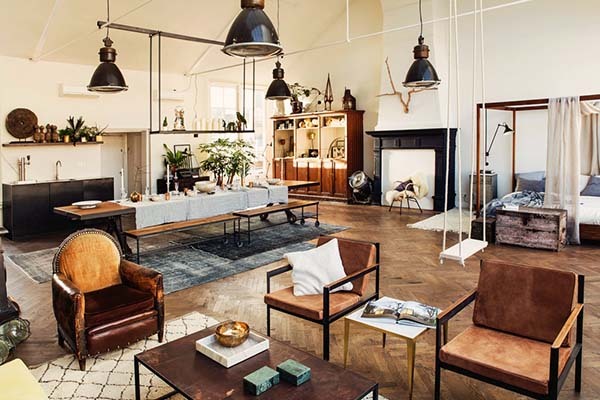 Those we see in movies or even in design concepts or visualizations are indeed very gorgeous that it would urge us to get a space like that. What we will show you today is an interior that seems like taken off from a story book. You will know what I mean once you get to see it. 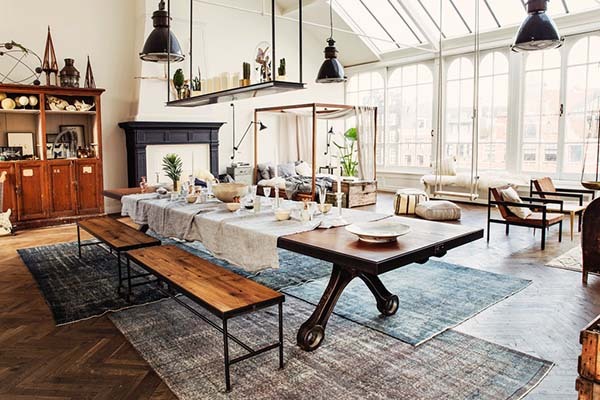 This is called The Loft located in Amsterdam, The Netherlands which is a conceptual pop-up store that showcases luxurious lighting, furnishings, homeware and textiles. 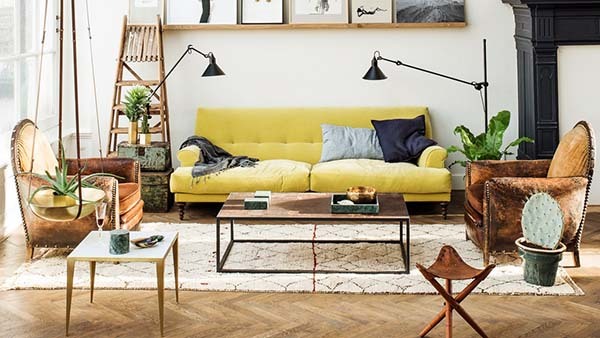 The space “emulates a dream loft where anyone could imagine themselves living”. 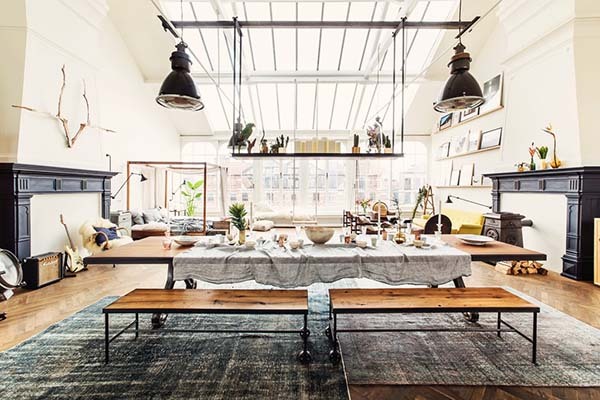 This space is The Vaudeville Theatre that was refurnished into a tastefully designed loft space and turned into a fantasy home. When I first looked this space, the first words that came out from my mouth was “wow”. And you wouldn’t wonder why because this is indeed a beauty. 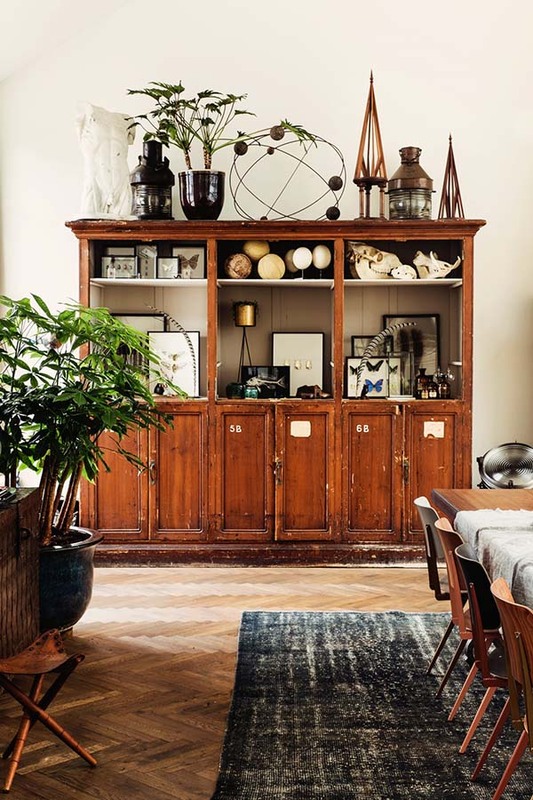 Take a look at the eclectic mix of furniture and decors here that turned out really gorgeous! Two mantles face each other which give the area some sense of symmetry. The dining area has industrial looking tables and chairs that sit on top of layered area rugs. Even the display will intrigue you and will make you love this space even more. For an open concept home, the spaces are divided with the use of area rugs. 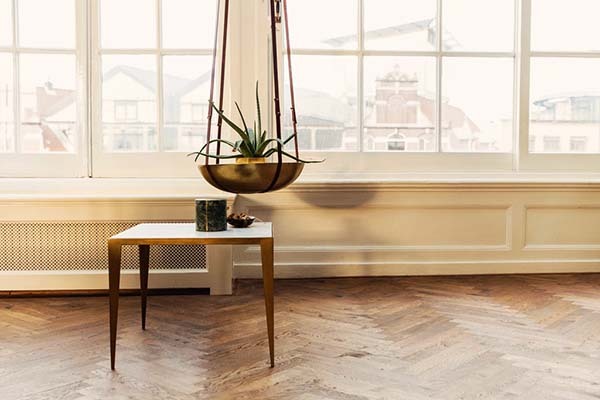 It used a herringbone patterned wood flooring making the space feel cozy and warm. 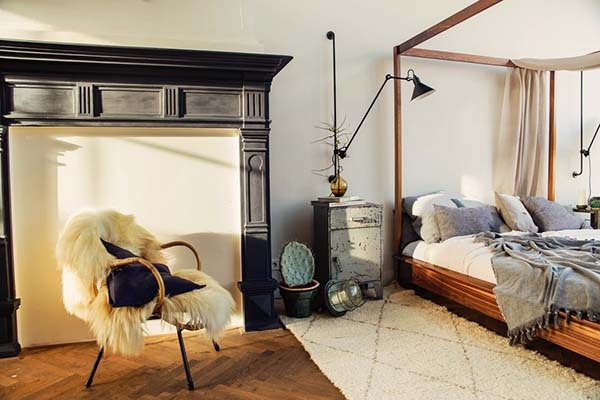 A gorgeous canopy bed works perfectly with the high ceilings. I love the idea of adding a trunk at the end of the bed for storage. A comfy chair and vintage looking decors are added on this side of the bed. 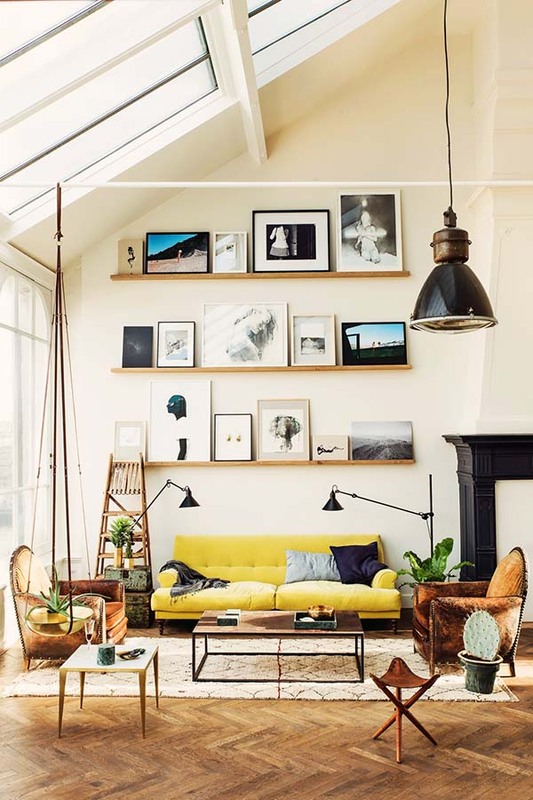 A gallery wall is installed in the living space. 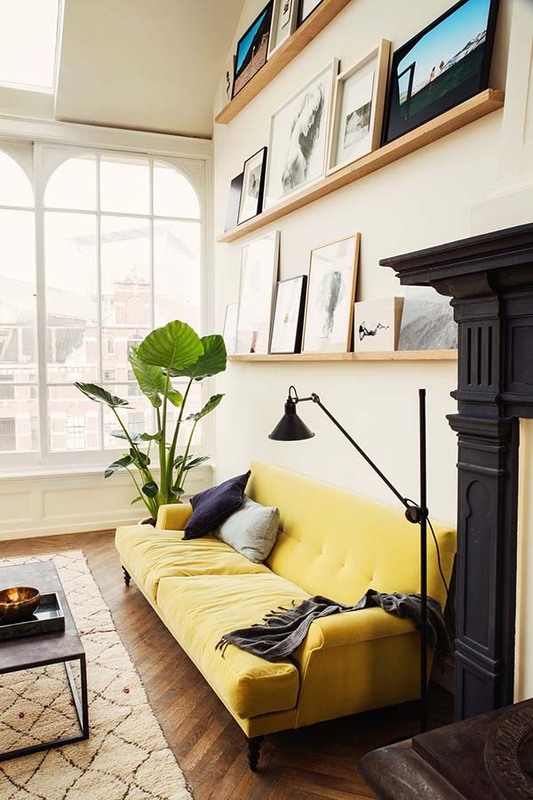 I love that yellow couch! Layering the shelving works really well for homes that have high ceilings. 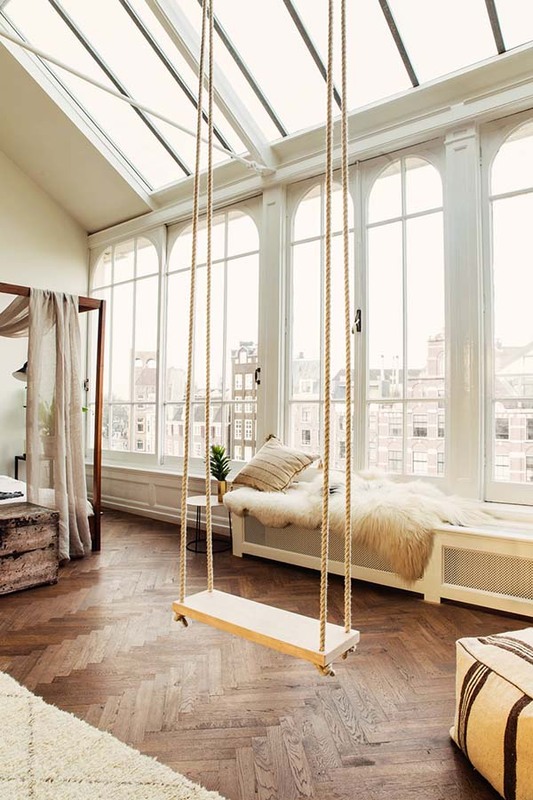 This hanging swing adds playfulness to the loft where one can sit while looking at the view outdoors. Aside from the beauty of the interior, the panorama outside is also very stunning. 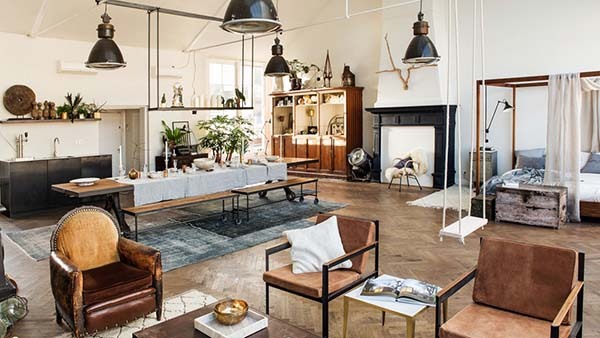 Loft lovers will really be able to drive inspiration and ideas from this design. Everyone will enjoy looking at this master creation. This is actually a concept space called The Loft which would definitely be an amazing home that will seem to send us to dream land and storybook land all the time! She always enjoys seeing homes featuring various architecture and designs. She isn't just captivated by the beauty of home furnishings, interiors and even gardens but she is also eager to learn more about them.